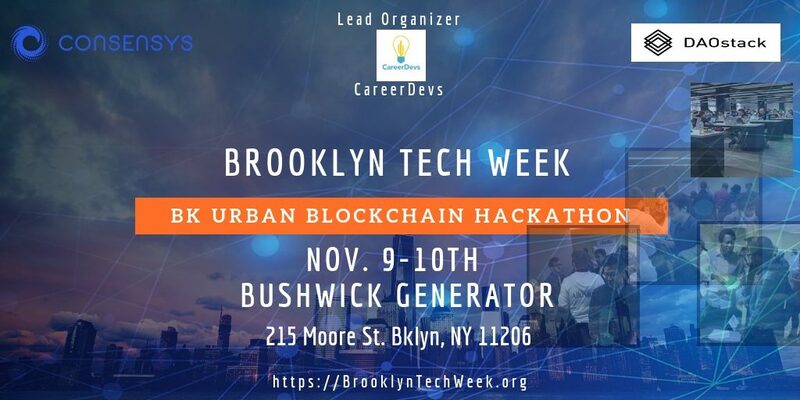 In the spirit of a decentralized Brooklyn–creating the foundation for social mobility and equity for all–we will kick off the inaugural year by hacking on two foundational blockchain topics: smart contracts and DAO’s (decentralized organizations). Let’s come together to see how we can use these mechanisms to start improving the way we live, work and play in Brooklyn. Arrive on Friday night at 6:00 pm for a panel on the connection between Urban and Blockchain, followed by tutorials and workshops on smart contracts and DAO’s. 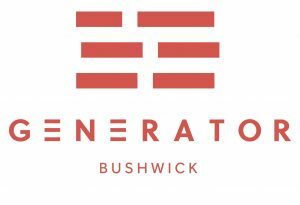 Get a good night’s rest and get ready to hack towards and awesome future for Brooklyn. OFFICIAL HACK starts at 9:00am on Saturday morning and wraps at 9:00pm that night. Prizes include ETH giveaways and free office space. Big Thanks to our Lead Sponsors ConsenSys and DAOStack. Hear these experts share their knowledge on smart contracts and decentralized governance/organizations. Also, get help and advice with mentors from Meridio, Linnia and other ConsenSys spokes! We look forward to seeing you at this awesome kickoff for a bright Brooklyn Future.